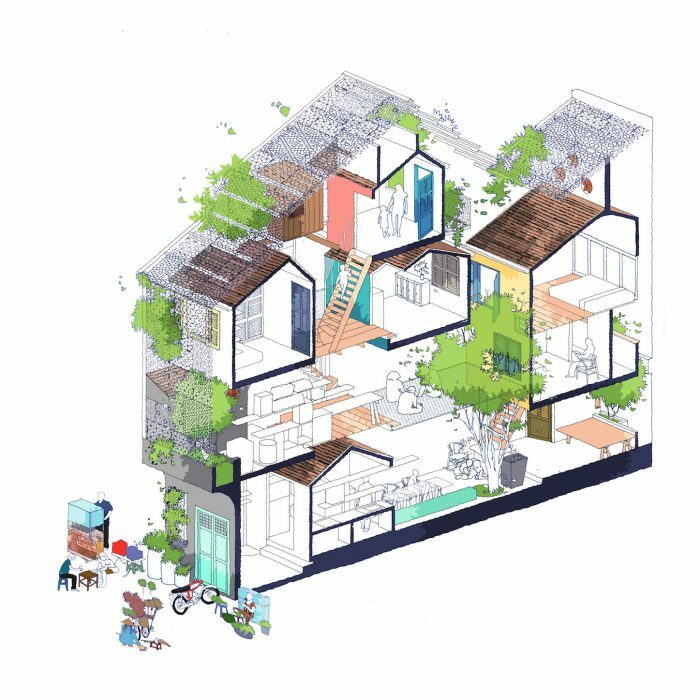 Drawing on a love of keepsakes, Toan Nghiem designed a house in Ho Chi Minh City to serve multiple generations for many lifetimes. “In Saigon, there is a story about Van Duong Phu, a masterpiece of architecture, built by Mr. Vuong Hong Sen, a culturist, an academic, and a famous collector of antiques. Moreover, he also had a deep knowledge of southern Vietnam and wrote many books about Saigon. 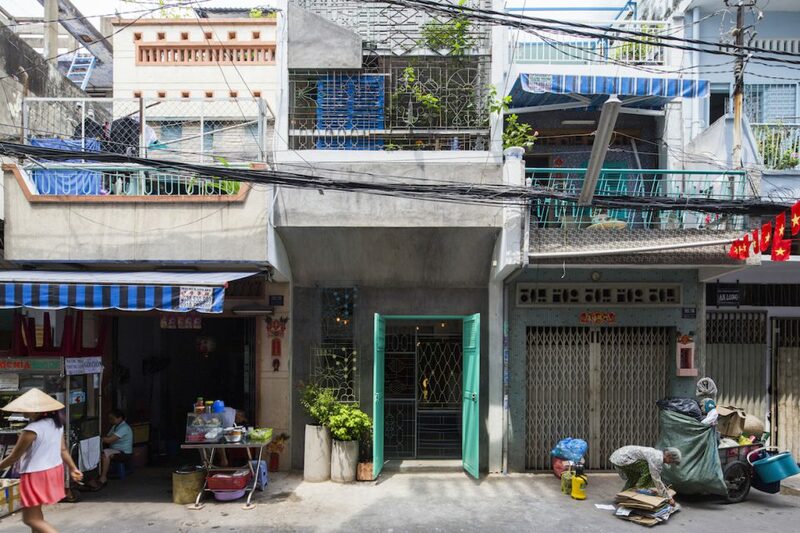 At the end of his life, he wanted to dedicate his house as a museum in order to prevent the antiques from being stolen, and to introduce Saigon culture to visitors. However, after his death, the house was abandoned, and its spirit totally lost. 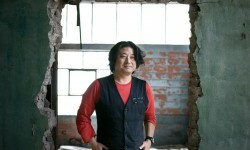 We recognised that although Mr Vuong Hong Sen was successful in his works, he failed to pass on his love to his family. Therefore, they did not respect their childhood. 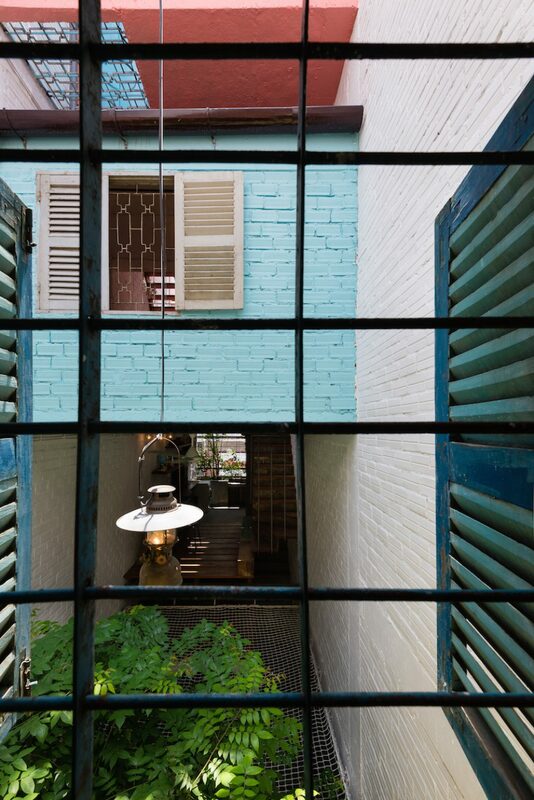 “The owner of Saigon House loves Saigon and hates living in a Western style houses, which become popular in our city. She wanted the house to be a gathering place for her brothers and sisters, who used to live under the same roof, as well as a meeting place for grandparents and their kids. 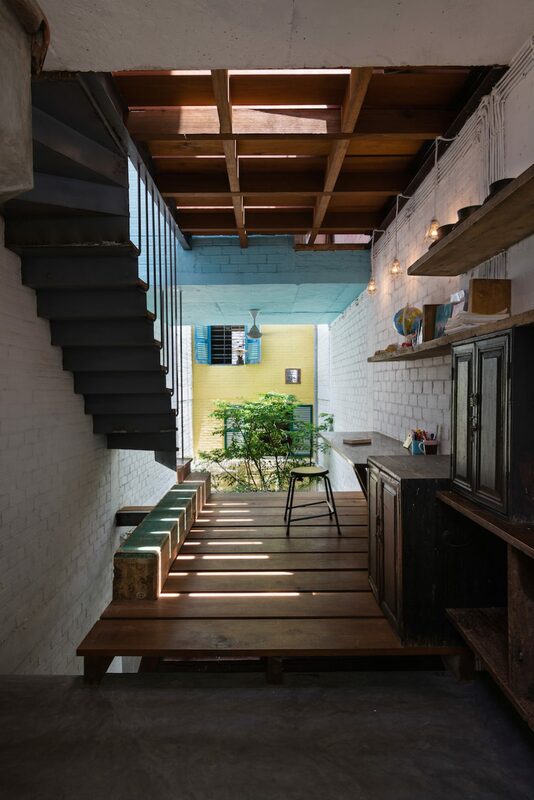 “Moreover, inspired by the Van Duong Phu story, she wanted this house to be a place where she could share her memories about the furniture, the objects that she collected with the kids so that they know how to cherish the place where they grow up. Therefore, the kids are the main factors that we aimed at. 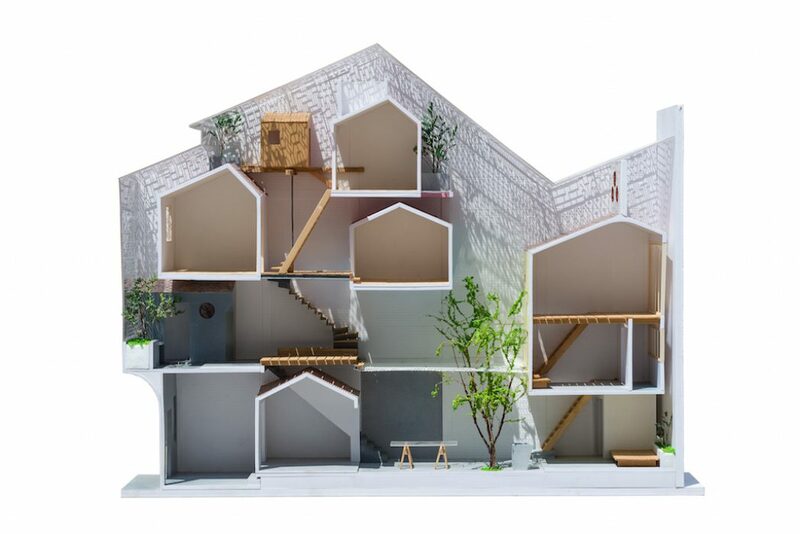 We wanted to make a place that is strongly characteristic of Saigon, so that the children can be familiar with it, and the adults, through their stories, can install in the children a love of it. …she wanted this house to be a place where she could share her memories about the furniture, the objects that she collected…. 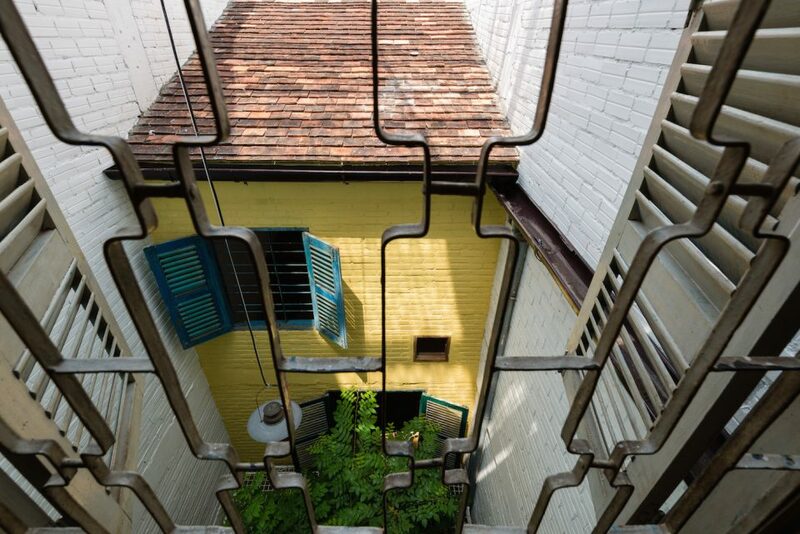 “Saigon buildings traditionally had sloped roofs, courtyards and balconies filled with flowers. 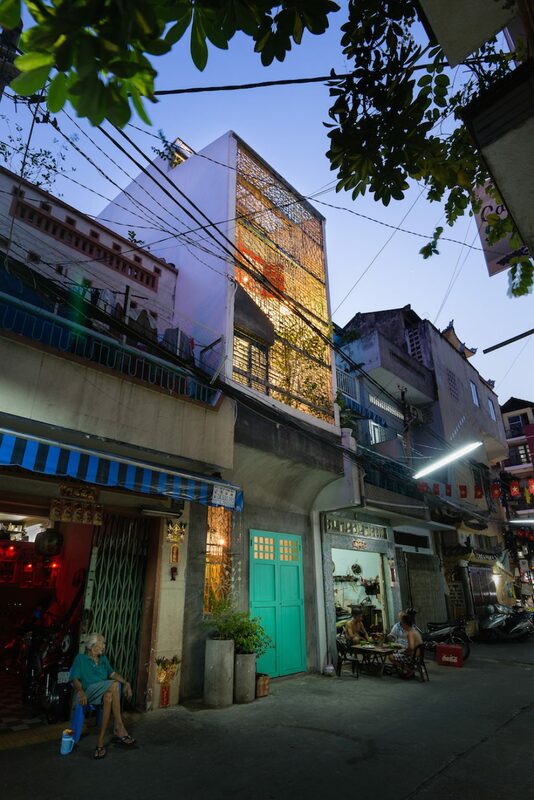 Saigon also had many alleys full of coloured blocks made of rich materials. 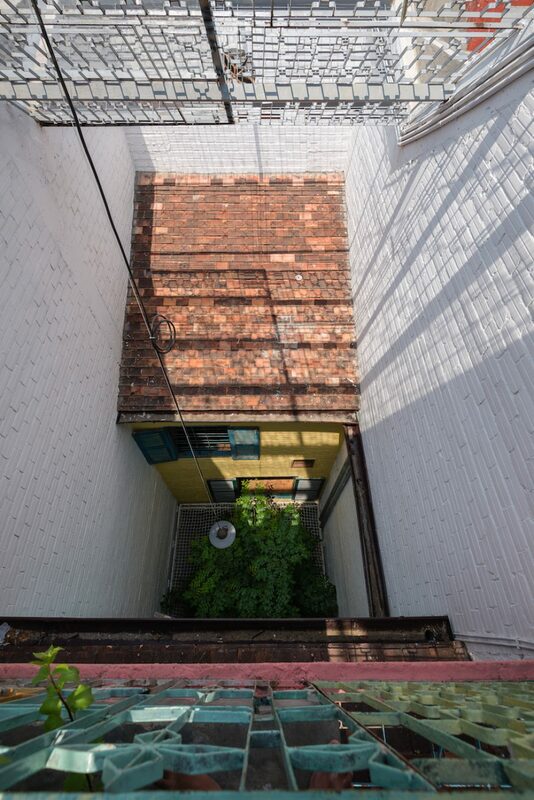 These alleys are not only gathering places, but also playgrounds for kids. These streets are chaotic but steeped in culture. 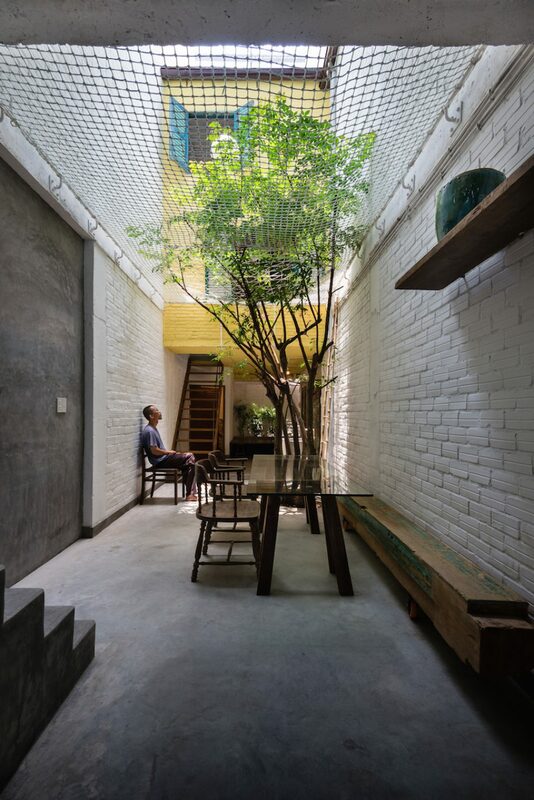 Saigon house is also features colourful blocks suspended over the common areas and all are covered by a steel frame that will later be overgrown with plants. 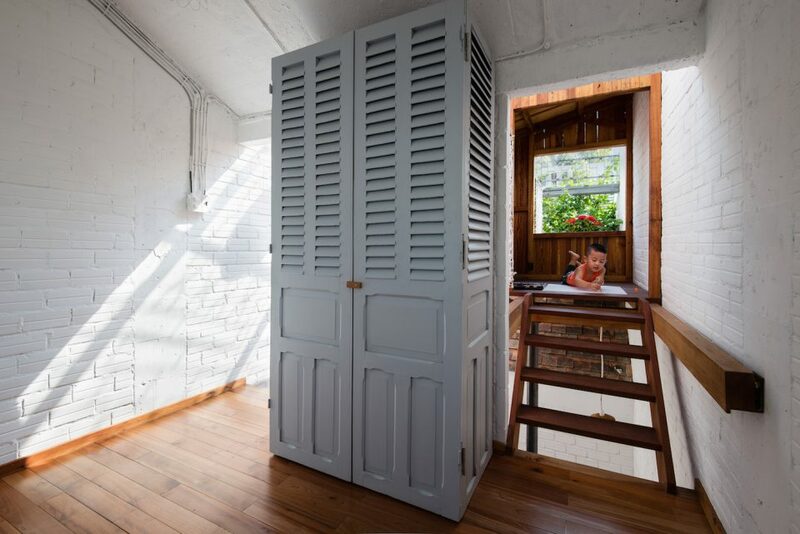 The spaces are small enough for the occupants to do their private activities. If they desire, they can easily be attracted by the sounds and sights from outside and get out, and connect with others. “The common area functions as an alley, where family members interact and build their relationships, where everyone can experience the changes in a day, and the changes in seasons. Those experiences are very rare in modern society, which is characterised by a lack of love, communication and nature. 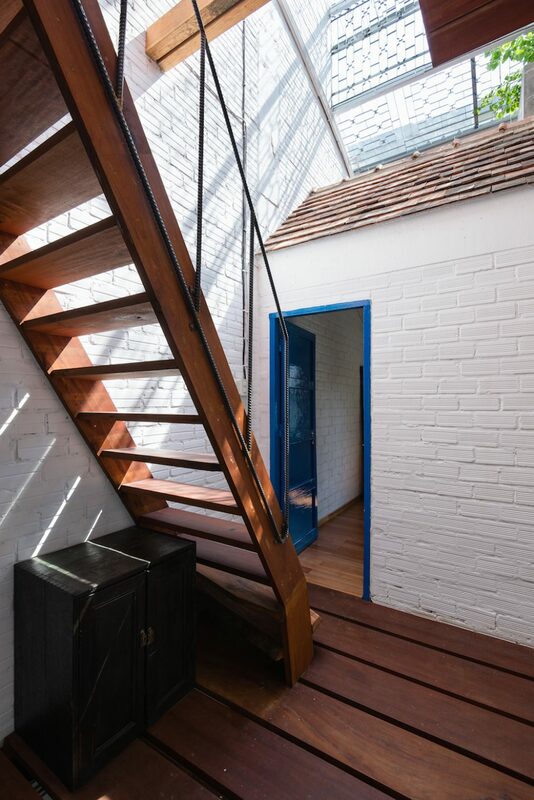 “Furthermore, the house is shaped by the furniture and objects collected by the architect and owner. Most of them are from demolished houses in Saigon. Besides the beauty of old things, we also found the spirits of second hand objects — those which have their own stories and reasons to be reborn in the places where they are most needed. And these are being carried to the kids through the stories. This is how they learn to cherish their house more. “The loss of Van Duong Phu is not a loss for Saigon. It can happen to anyone, anywhere and at anytime: the loss of old, good things that we try to save for our children. As designers, we would like to ensure that our architecture, the house in this case, has a material and spiritual value that can be maintained by the love of the ones who live in it. These streets are chaotic but steeped in culture.